These days, there’s no question that sales (or business development as law firms like to call it) is essential to the success of nearly every law firm. Law firms can’t exist without clients – and whether a firm prefers to expand its client base or to get more work from its existing clients, it needs to have a business development function. Accordingly, any law firm needs to hire people who know how to bring in business. Some law firms rely on their partners to generate business; that’s the typical “rainmaker” paradigm. Some other law firms have a dedicated sales force that may report to the chief marketing officer, to the management committee, or in some other way. Some firms do a mixture of both. But however you look at it, great business development people are hard to find (I'm the hiring manager at A2L). One reason that this is so is that many law firms don’t know how to look for a great business development person. For example, a firm might hire someone who is bright, charismatic and articulate but can’t get anything done. That person won’t last long. Or there might be someone who is highly networked and wants to bring in clients but doesn’t know how to put together an agreement. That person won’t last long either. In my next few blog posts, I will share with you the characteristics of a good and of a bad business developer --and how to find one and determine whether you have the right one. Intelligence. They are smart and think well on their feet. Excellent communication skills. 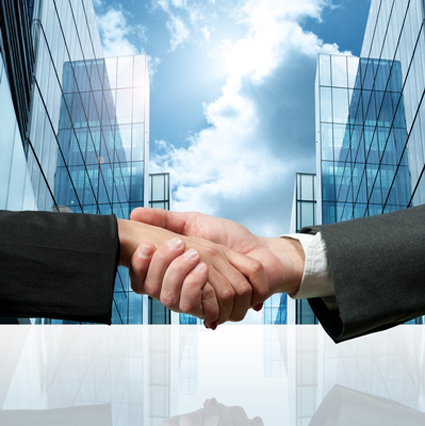 They can communicate well with both the law firm’s partners and other lawyers and with the client or potential client. Adaptability. While extensive research on a client or matter is ideal, when there’s no time or the research can’t be done, the great business developer can use whatever information he or she has at hand. A sense of structure. A good business developer can hit all the marks – mining, pitching, negotiating, closing and implementing. An unstructured person is always planning but never closing. A sense of the big picture. A good business developer follows a simple formula: Find out what is important, try to achieve it, and get the work. Great business developers do not focus on the little things that don’t really matter; sometimes they have to be willing to walk away. Only someone that sees the big picture can make that decision. Stamina. Getting a new client can take a long time and involve a lot of back and forth. Bad business developers tend to concede too much at the very end in the interest of closing the deal and often lose a lot of value for the firm. Moral compass. A great business developer, like any great employee, will do the right thing even if it is uncomfortable or against his or her self-interest to do so. There are all sorts of ways in which business people may act to benefit themselves rather than the company. Character matters.